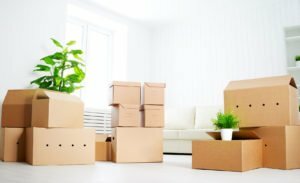 If you’re getting ready to head to your new home, make sure you leave these moving mistakes behind. Moving is stressful. There’s no sense trying to sugarcoat your upcoming project; it’s a lot of work and takes a lot of energy. There is good news, though! By moving the right way, you can make sure you don’t add to the hassle. If you’re about to head to your new home, keep away from these moving mistakes. Don’t wait until the day before your move to start packing! You’ll get exhausted quickly. Start a couple weeks in advance by packing up things you don’t regularly use. That way, you’ll have a good head start when moving day rolls around. You didn’t pick a good day. Movers are busiest on weekends towards the end of the month (thanks to 1st of the month lease start dates). If you can swing it, take a day off work to move. That way, your mover won’t be overbooked and can charge you a more affordable rate. After you finally haul the last box into your new place, you’re going to be tired. Make sure what you need to take care of yourself is readily accessible. Have a couple of boxes with changes of clothes, basic dishes, toiletries, and bedding set aside so you don’t have to dig through everything to get set up on your first night. You didn’t use what you have. Don’t waste money and energy boxing bedding instead of using it as packing material! That comforter could take up a whole box – or pad your artwork. Similarly, hampers and bins are great for moving and won’t leave you with a mountain of cardboard to get rid of post-move. You didn’t talk to your insurance agent. Before your move, contact McCarty Insurance Agency. Our Fresno, California team can help you insure your stuff while it’s being moved and get you set up with the right homeowners insurance policy in your new place!